Looking for a healthy, delicious, satisfying snack that will leave you feeling full? Hummus is a great choice. It’s almost surprising the number of people who ask, “Is hummus healthy?” Hummus is probably one of the most nutritious and diet-friendly snacks around! Then again, in today’s world, so may foods which seem like they should be healthy are not, so it’s worth it to investigate any food you are thinking about making a regular part of your diet. So let’s take a closer look at the health benefits of hummus. The majority of those ingredients will be well-known to most readers. If you aren’t familiar with tahini, it can be tricky to hunt down in the grocery store, but most stores these days carry it. It’s the most expensive ingredient in hummus. What is it? It’s a paste made out of ground sesame seeds. It has a consistency that’s similar to peanut butter. Now, if you are going to be purchasing packaged hummus at the store, you should check the ingredients first. You should see more or less the same key ingredients, but you will probably also notice some spices (which are good) and fillers (which are usually not so good). Because prepackaged hummus may contain artificial additives, it may not be 100% wholesome and healthy. That is one reason it is better to make it yourself at home. The other reason it is better to make hummus at home is that it tastes so much better! Seriously, you will not get over the difference. When you make hummus yourself, you can control the exact proportion of the ingredients. You can spice it to your liking, and you can also mash up the chickpeas as much or little as you want. That means you can get the exact texture you prefer. Is hummus good for you? The ingredients speak for themselves. Let’s break it down. • Chickpeas (a.k.a garbanzo beans): These legumes are great for you! They are loaded with protein, and also contain fiber and healthy carbs. They are widely considered to be among the world’s healthiest foods. Because they are so rich in protein, they are great for providing satiety. 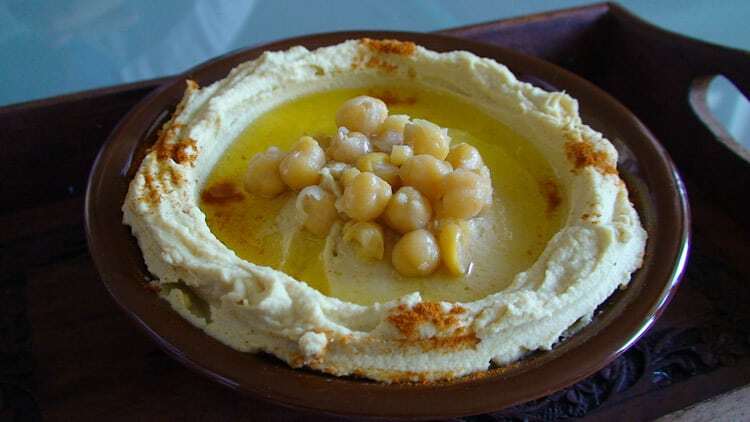 Even though hummus has a lot of calories, the protein-rich chickpeas in the recipe may actually curb your appetite enough to stop you from overeating throughout the day. 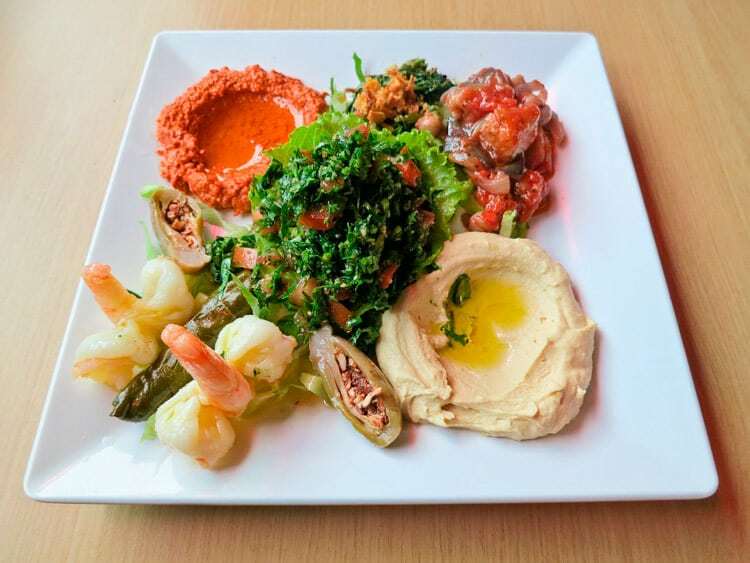 That’s why hummus is actually a diet-friendly food in moderation. • Olive oil: Olive oil is high in fat, but specifically in monosaturated fatty acids (MUFAs). These are good for you, and can reduce your risk of cardiovascular illness. Olive oil in your diet can actually drop your total cholesterol! • Lemon juice: As a citrus fruit which is high in vitamin C, lemons have plenty of health benefits. A little lemon juice in your hummus enhances the flavor and makes it even better for you. • Garlic: Garlic is incredibly nutritious! One ounce contains 23% of the RDA for manganese, 17% of the RDA for vitamin B6, 15% of your recommended daily vitamin C, and 6% of the RDA for selenium. To top it off, you get a gram of fiber. Garlic also contains significant amounts of a few other healthy nutrients: potassium, iron, phosphorus, vitamin B1, copper, and calcium. It is excellent for your immune system, digestive health, can boost bone health, and may also be good for your brain. • Tahini: Tahini is a paste made out of ground sesame seeds, which, as it turns out, are very good for you. The nutrition in a quarter cup of sesame seeds includes 163% of your daily value of copper, 45% of your daily value of manganese, and 35% of your daily value of calcium. Add to that a ton of magnesium, iron, phosphorus, zinc, selenium, molybdenum, vitamin B1, and fiber, and you have some seriously healthy seeds. Tahini contains that same nutrition! • Pepper: Pepper contains a chemical compound called piperine, which may increase the bioavailability of other nutrients. It also may help to prevent breast cancer. • Cumin: Two teaspoons of cumin contain 16% of your daily value of iron, 7% of your daily value of manganese, and 4% of your daily value for copper, magnesium, and calcium. You also get a little bit of phosphorus and vitamin B1. Cumin is not always added to hummus, but it can add a delicious dimension to the overall taste. • Salt: Americans typically get too much salt in their diets, but if you are a health-conscious individual who does not eat a lot of prepackaged foods, ironically, you may not get enough. If you know that you are not getting a lot of salt, you may want to consciously add it to some of your favorite foods. It goes great in hummus, and can help you get the iodine that you need. Iodine is essential for thyroid function and hormone balancing. It may also protect you from developing breast cancer. As you can see, going off of the ingredients of a fresh batch of homemade hummus, you are eating nothing but goodness. Where hummus turns into an unhealthy snack usually concerns what you eat it with. A lot of people go out and buy a bag of pita chips. Even if you buy chips which are organic, they may still be high in calories, and may also have a lot of salt. If you don’t go organic, you may end up with a lot of artificial ingredients as well. Hummus is actually so filling that if you make a large batch and put it on toast or pita bread, you can easily turn it into much more than just a snack. It may be all you need for lunch or dinner. As far as meals go, you are not going to find a lot of options to compete if you are dieting and trying to get healthier. 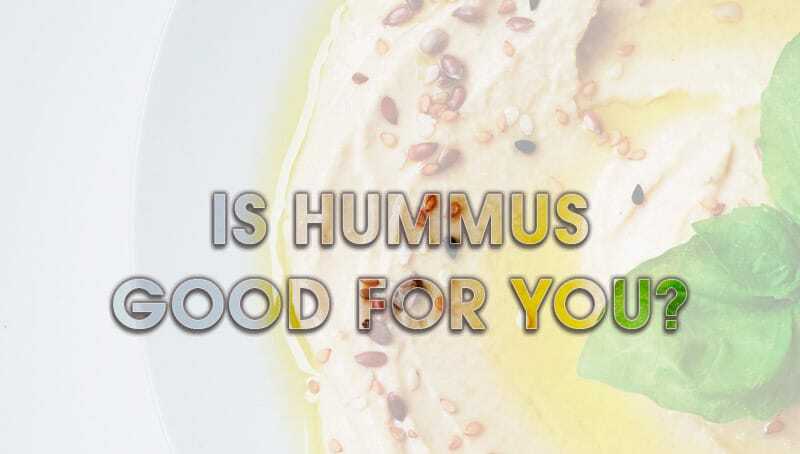 So is hummus good for you? The bottom line is yes, absolutely! Making hummus is easy. The ingredients in this superfood are common, cheap, and healthy. They will save you money while delivering a huge dose of nutrition. Once you start making hummus at home, you will have fun experimenting with different recipes. Don’t be surprised if you love it so much you want to eat it every week!